Are you thinking of starting a small business? Below are top 10 factors you should consider when starting a business. These factors can either make or mar your small business? If you are actually ready to start a small business then read on to see if you can handle all these factors. Starting a small business can be tough though it can as well be fun especially when you are succeeding. Why businesses failed is because the owners fail to understand the underlying business success factors. I have always warned many people against the dangers of starting of a business they do not have any knowledge on. You need to have experience in anything you set out to do especially when it involves business and making money. Knowledge is power! You can always do better in any business you have an experience on. So, before starting that your dream small business considers getting experience and knowledge first. Many businesses failed today because of lack of knowledge. What you don’t know, you don’t know. Period! You can never give what you don’t have. You can work for someone who is in your the same line of business for at least a year to acquire experience. Passion is another important factor to consider when starting a small business. “Passion is what keeps you going when the going gets tough”- Warren Buffett. Doing business is a risk and sometimes, things don’t turn out the way we may have plan, passion will help in keeping you going. One of the major reasons why people jump from one business opportunity to another is because at the onset they started a business they are not passionate about. Before starting any business considers starting something you are passionate about. Another factor to consider when starting a small business is the target market. How many people will patronize this business you are starting? No matter how good a business may seen to be; if you don’t have people who buy your product you are wasting your time. People can applaud your idea, but money in the hand is always better. Therefore, consider your target market before starting any small business. The success of many businesses lies in the ability to choose the right business location. To choose the right location for your small business is a matter of determining what is absolutely important to the success of the business awhile overlooking those that are not too important. Many people go into small businesses they have the knowledge of, know their target market, choose the right location and still fail. The economy can have an adverse effect on any business no matter how small the business is. But it is always good to consider starting in a small scale when you discover that the economy may affect the business tremendously. While you may hear stories of people who started a business with little or no money, you will still hear of others who spend thousands of dollars to begin theirs. So, knowing the amount of capital you needed to start your own small business matters. Get the required capital ready before kicking off. Make sure you have ways to raise to funds for small the business if the required capital is not complete. 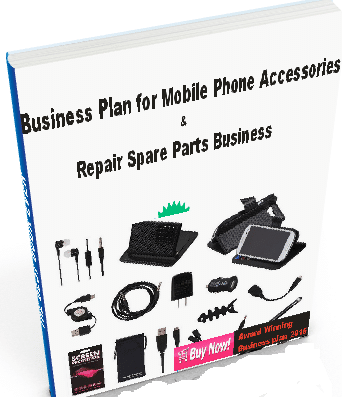 Every business require backup financial plan. When you newly launch a business, they business may take some time to start paying you. At that point, you need to put in more than you get. Financial backup helps you maintain and run the business until the business starts paying off in spades. Time is value business asset and it plays some key roles in the success of a business. The time the business is launched and the time allocated to running of the business matters. I hear many new business owners say they didn’t think the business would take as much time as it has in their lives. Some businesses may require more time than the other. Time is crucial to businesses that are seasonal. For business that may involve buying and selling, time is usually needed to handle customers and “public” business operations. Time is also needed in maintenance, taxes and other items that come with running a business. Competition is another factor to consider when starting a small business. You can imagine how many small businesses sweat over finding a location where there is no competition so as to enjoy some ‘absolute monopoly’ advantage. However, it does not always work fine that way. Sometime you need to be close to your competitors, so that you can sell to both your customers and to that of your competitors. A well-established competitive business indicates that plenty of target customers will go round. So, being close to your competitors is always an added advantage if you can utilize the advantage. These factors to consider when starting a small business will not be complete if I fail to say mention profit. One of the major goals of every business is to maximize profit. After mapping out your overhead expense and actually cost of a producing a product, you should comfortably have profit. So, consider taking a rough estimate of your profit before starting any business. Your profit will help to cover some potential serious problem should they arise unexpectedly. Doing business can be fun and exciting especially when all necessary factors militating against business success are take into consideration. I’ve been a victim of number 2. I started so many online businesses just because I heard they were profitable but because I had no passion for them, I crashed out after a while. Thanks Steve for stopping-by. I’m glad you found the article helpful. Great! I fought my competitors do well but the problem was Location,the profit and starting capital and knowledge about the business was lacking.I wish to bounce back!! I am happy you are learning from your experience. You will do better this time. All the best! Am a university student pursuing electrical and electronic engineering and am highly motivated to start a small business while am still studying. Kindly motivate me coz when we stand together then we will change the business culture worldwide. Am 20yrs. l didn’t thought of no5 thanks Emma. Wow!, That’s OK. You’re welcome.